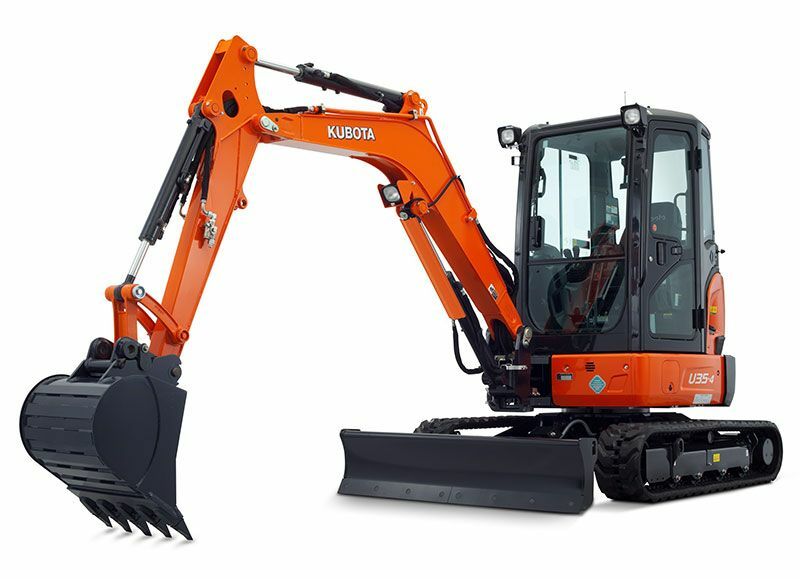 The Kubota U17-HGS Excavator comes with its larger engine and hydraulic pumps, and provides enhanced performance and faster cycle times. More travel motor power increases its traction force and balance and stability have been improved. 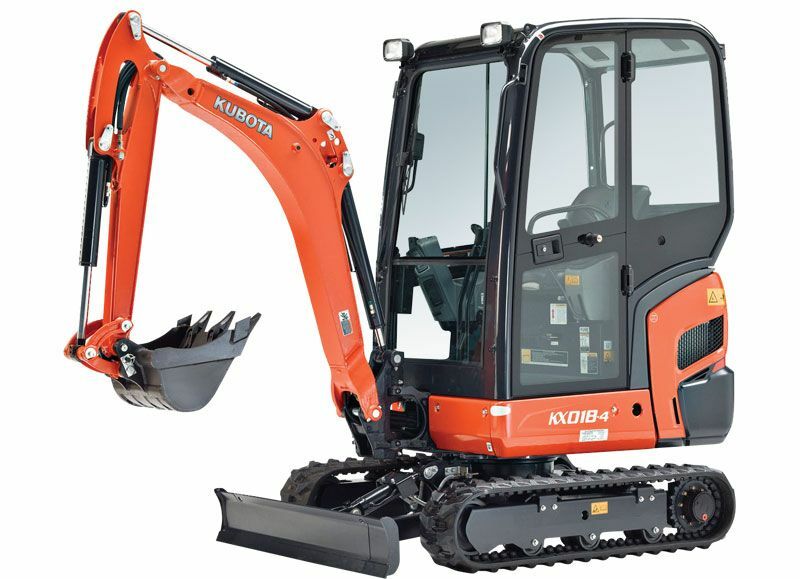 The U17 has a variable width track, and includes Kubota’s informative digital instrument panel. 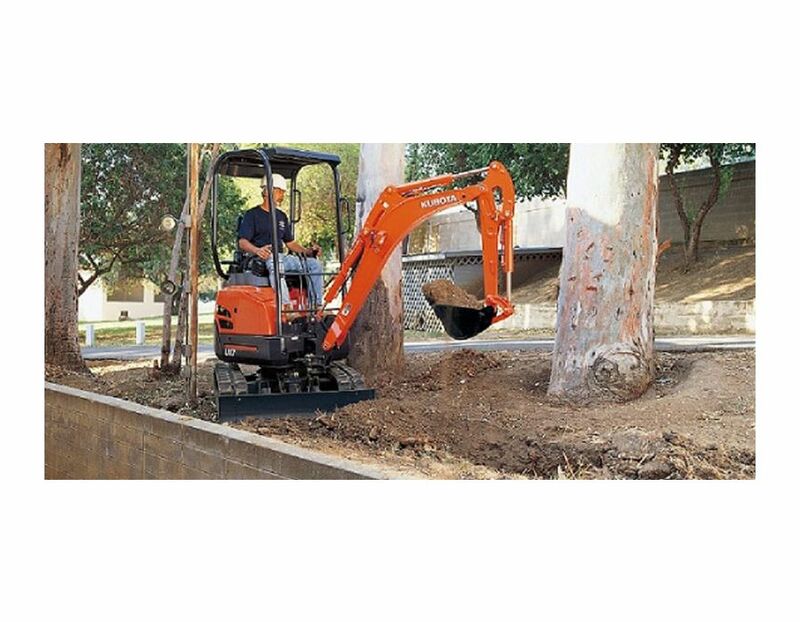 Zero-tail swing means you’ll never again worry about what is to the side or behind you while you work. No matter how far you turn, the tail always remains within the width of the tracks. Zero-tail swing also ensures excellent balance, stability and faster operation, making it ideal for jobs in congested areas. The U17 features a hydraulic track gauge that can be adjusted to between 3' 3" and 4'1". With the touch of a single lever, you can reduce the track gauge to navigate narrow spaces or increase it to improve functionality. 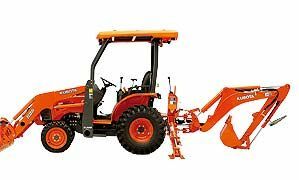 The U17 features double-flanged track rollers and short-pitched rubber crawlers for improved undercarriage durability. The double-flanged track rollers help improve travel stability and performance, and the short-pitched rubber crawlers help minimize vibration during travel for improved operator comfort. 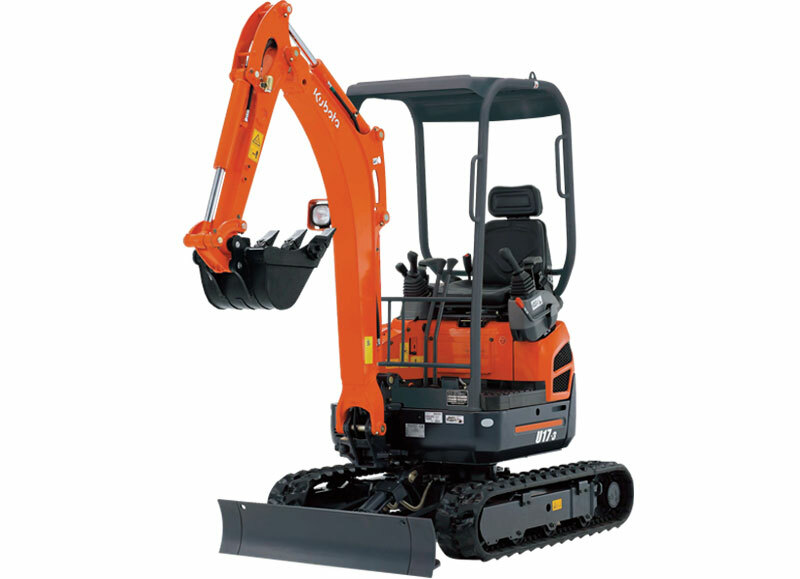 With a digging depth of 7'7" and auxiliary flow of 7.3gpm this excavator has it all. 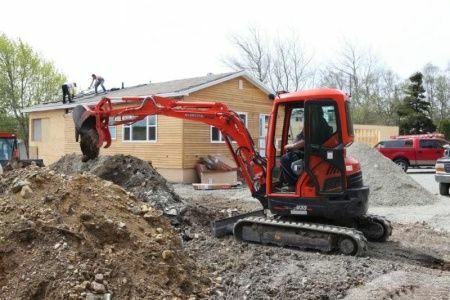 Zero Tail Overhang - Zero-tail swing means you’ll never again worry about what is to the side or behind you while you work. No matter how far you turn, the tail always remains within the width of the tracks. Zero-tail swing also ensures excellent balance, stability and faster operation, making the U17 ideal for jobs in congested areas. 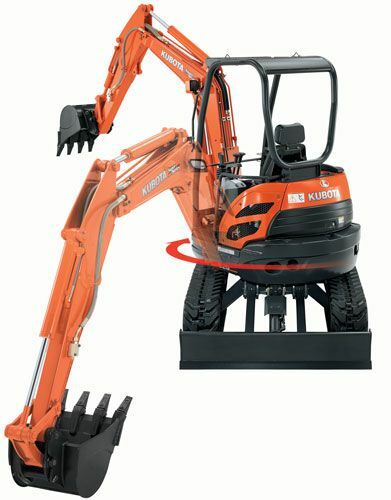 Variable Track Width - The U17 features a hydraulic track gauge that can be adjusted to between 3' 3" and 4'1" (990 mm and 1,240 mm). With the touch of a single lever, you can reduce the track gauge to navigate narrow spaces or increase it to improve functionality. 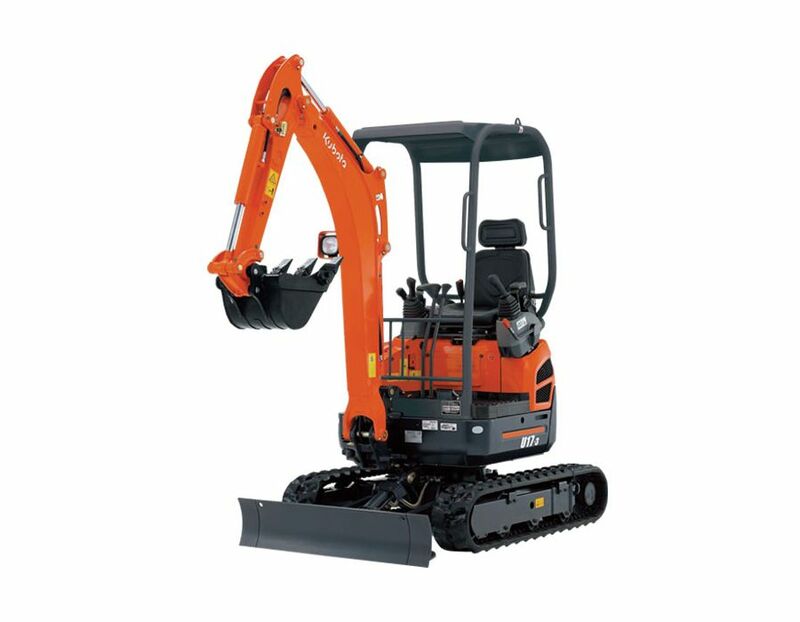 Rollers & Crawler - Like many higher-end excavators, the U17 features double-flanged track rollers and short-pitched rubber crawlers for improved undercarriage durability. The double-flanged track rollers help improve travel stability and performance, and the short-pitched rubber crawlers help minimize vibration during travel for improved operator comfort. 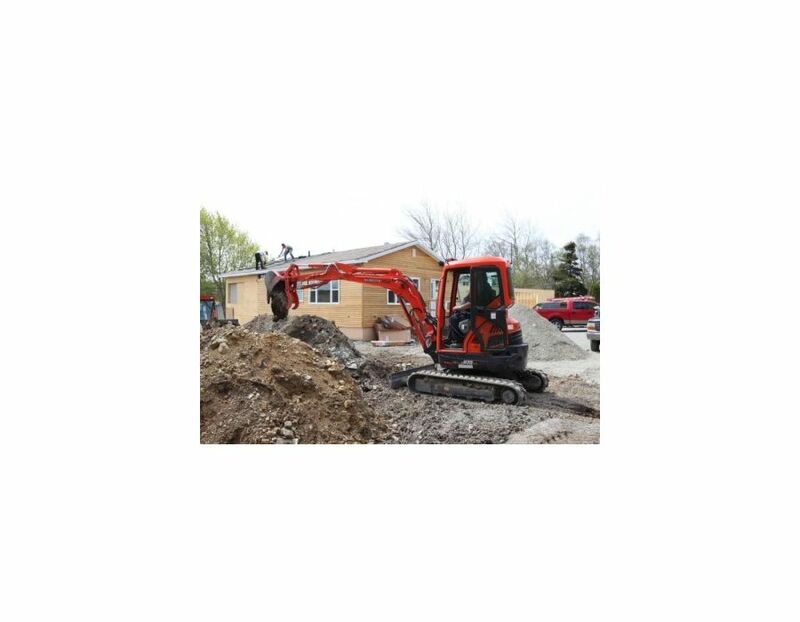 The Kubota Excavator U17-HGS is available at Kooy Brothers Equipment, located at 1919 Wilson Avenue in Toronto, Ontario.